I had no idea a season pass came with so many perks. I remember vividly the first time I bought a season pass to a ski resort. I was 19 years old. A new skier. And, I felt like I was part of the club. I loved that people could see my pass strapped to my arm in its plastic holder. I loved that I could get out of my car and go directly to the lift. I loved that, while my friends waited in the ticket line, I was leisurely making my way through a cup of coffee. I was certain I was the coolest kid at UMaine. Then, I graduated college. I gave up skiing until I was in my mid-30s. While I tell people I started skiing at 19, the truth is I didn’t learn to ski until I was much older. I had to stop staring at the frost on my windows. I needed to get up from the couch and figure out a way to get moving in the winter. My husband and I had a friend who worked for ASC, the group that owned Sunday River prior to Boyne Resorts, and he gave us a couple of day tickets. We had a great time. So, we bought limited passes, to test the waters…or powder, rather. The next season, we got full passes. Eventually, we quit our “real” jobs to work at Sunday River so we could ski all the time. My husband grew up skiing and always loved it. It took me a little longer to get hooked. But, hooked I am. Early days. All of the equipment. None of the skills. I recognize that my job is to promote Sunday River and to promote the New England Pass, but I sincerely wish someone had told me about the perks associated with the passes. If you intend to spend any time at Sunday River, Sugarloaf, and Loon, or even if you plan to spend all your ski days at Sunday River, you want a New England Pass. The details of the different passes are listed below but let me tell you about the perks right now. I’m sorry if I sound sales-y. If we met over a beer, I’d be saying the same things. And, now I am realizing I’m probably a very annoying dinner guest. I just want everyone to take advantage of what’s available. Very few of my friends ski (or snowboard). As a New England Passholder, I can bring those friends who don’t ski (or snowboard), to learn how to ski (or snowboard) for free. Yeah. FREE Learn-To Clinics for your friends. And, if you have a Gold Pass, once those friends learn to ski (or snowboard) or if you have non-passholder friends who want to come skiing (or snowb…I’ll stop), you can buy up to four day tickets for only $55. How about some lodging? Passholder lodging rates start at $35. I’m not even kidding. Do you know how many nights I’ve spent on people’s couches or have driven home exhausted because I had no idea passholders get slopeside lodging deals? I spent one night in that little room off the bar at Judson’s, but that’s another story from another mountain. On top of the lodging and and Learn-To Clinics, all season long, passholders get major savings at Sunday River Sports, at the Jordan and Grand Summit Spas, and 20% off dining cards so across the resort your meals are cheaper, just because you have that little plastic card with that adorable picture on it. Finally, Sunday River offers Passholder Perks and exclusive deals all season long. Look for the Passholder Perk badge and you’ll see. Free entry to events at the Foggy Goggle, exclusive sales at Sunday River Sports, like the one happening over Winterfest Weekend (if you already have a pass, you know what I’m talking about), and the super popular Passholder BBQ in April. That shrimp? That really awesome and delicious grilled shrimp? Help yourself. Eat as much as you want. Below are the three main levels of the New England Pass, plus a few other options like the College Pass listed below it. Take a look at what fits your schedule and your budget. Then come up and enjoy the perks of being a Passholder. Bronze New England Pass is an all-ages season pass that includes midweek, non-holiday access to all three resorts. Silver New England Pass offers access every day of the season excluding 13 blackout dates. 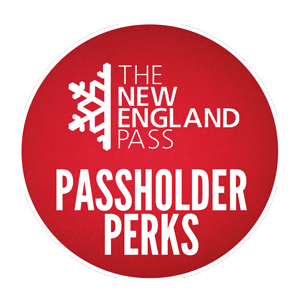 Gold New England Pass offers unrestricted access to for the 2015/16 season. The College New England Pass is available to full-time college students for $359 and includes unlimited skiing and snowboarding at all three resorts. The College New England Pass will remain on sale at this low price until November 30, 2015. 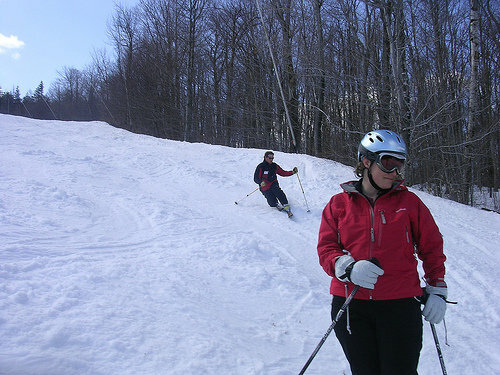 The Graduate New England Pass is available for $759 to post-graduates who purchased a 2014/15 College New England Pass and also includes unlimited skiing and snowboarding at all three resorts. Senior (65 and older), teen (ages 13–18), and junior (ages 6–12) versions of the Gold and Silver pass are also available for purchase. Gold passes are available for children ages 5 and under and seniors ages 80 years and older. Pre-season rates run through October 12, 2015.